KAMAZ presented a special vehicle of ambulance on the chassis “KAMAZ”, designed for operation in the Far North. The new form of transport for extreme climatic conditions and off-road was developed in response to denote demand, the press service of KAMAZ. 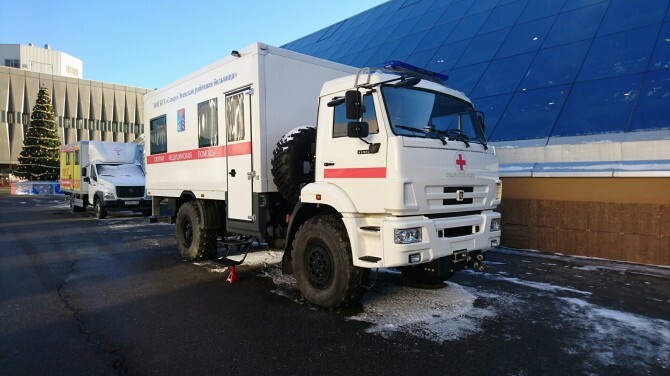 “Ambulance” for the Far North is a four-wheel drive vehicle KAMAZ with special van, equipped with the latest medical equipment and a lift for stretchers. The vehicle consists of two compartments, equipped with individual heaters – for the driver and crew cab. Tests will be held in the northern city district of Kolyma. After a positive assessment of committee the model will be put into serial production.